Please help Me!. A monkey been used for scientific research at a university in Israel.. Wallpaper and background images in the Against Animal Cruelty! 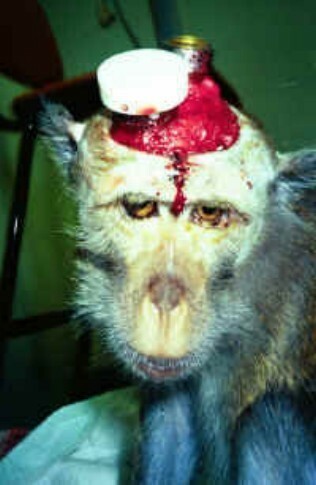 club tagged: animal welfare animal cruelty animal protection animal rights monkey experiments photos. NOOOOOOOOOOOOO MONKEY MONKEY MONKEY MONKEY!! im gonna go up to the person that did it, and shove a cilinder thingie in HIS head!! Can I come with you when you do that? OMG i cant believe someone could do that!! monkeys are our primates who we originated from!! what has the world come to?? O MY GOODNESS!!!!! I AM GONING 2 HUNT THEM DOWN AND RIP THERE HEADS OFF!!!!!!!!!!!!!! that is just compleatly and utterly cruel they would certainly moan if it was the other way round as to them it cruel but to animals it is not its just utter torchure apon the animals i say we should make a campain to stop all this soon if u think so ad me and we will organise it.